PRIVATE and CONTEMPORARY. 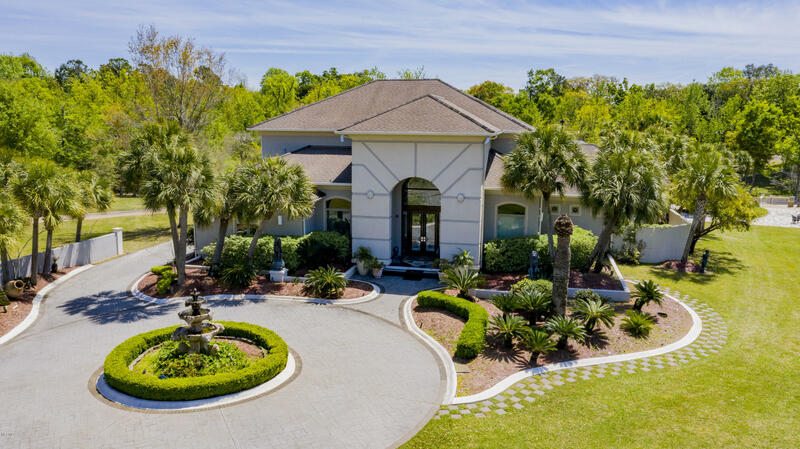 This resort-like compound is 2 lots on 2.4 acres, located in Beau Chene Estates on the Back Bay in Biloxi. An abundance of natural light compliments the spacious floorplan. Truly a Chef's kitchen, features stainless steel appliances with a gas cooktop, a Sub-Zero fridge and a wine cooler. The first floor master retreat is tranquil escape with true spa like feel. 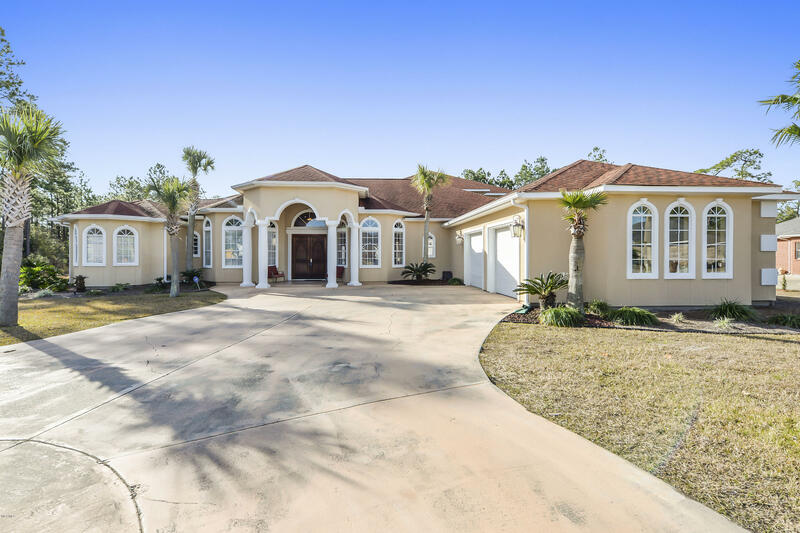 Built for entertaining, this home also has an full enclosed lanai with sparkling pool and spa. Complete ''outdoor kitchen'' is enclosed and air conditioned. Custom wet bar and pool room overlook the pool area. Fully equipped theater room with kitchen and bath. Unbelievable 750 gallon saltwater fish tank is a truly unique feature in the home. HOME TO BE CONSTRUCTED UPON EXECUTED PURCHASE AGREEMENT. Beautiful home to be constructed by Elliott Homes on this very unique piece of property. Property is part of a larger parcel that will be subdivided as part of this sale. Property included in this sale is just over 6 acres of land with a large amount of waterfront overlooking back bay. Great location that you can be close to everything and at the same time, be secluded.Home features include gourmet kitchen, high ceilings, large porches, huge master suite, vaulted ceilings, and many more features. Additional land can be purchased as part of this sale, and is also listed for sale separately if you wish to build your own home or another one of the Elliott Homes. The home to be constructed will need to be elevated. Over an ACRE on the Tchoutacabouffa River! 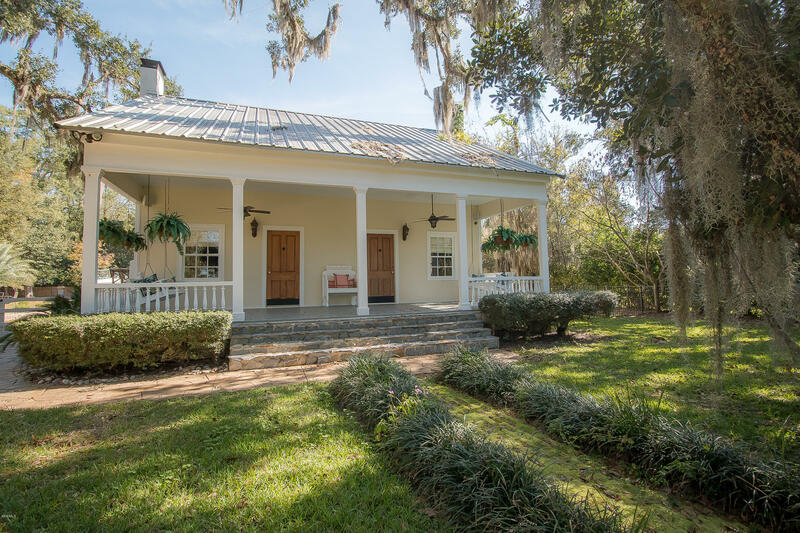 Unique opportunity to live among Live Oaks on high ground with spectacular views of the River. 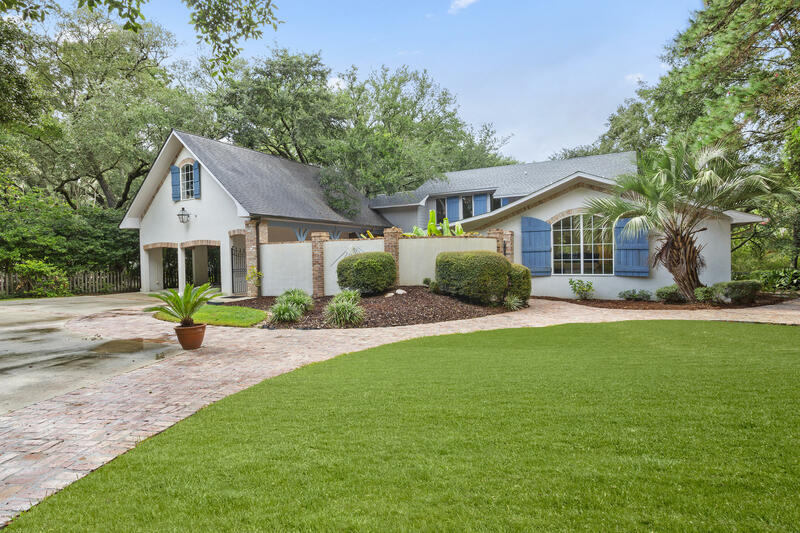 Home is full of character & beautifully landscaped featuring a New Orleans style brick courtyard entrance, over 2300 sq ft of decks & patios, a pool overlooking deep water, dock w/ double boat house & lift. Stepping inside you'll find an open floorplan w/ high vaulted ceilings showcasing skylights & center fireplace, windows across the entire back of the home, a commercial gas stove, tons of storage, mexican tile in living & wood floors in the master suite & library loft area as well as suite above garage w/ excellent water views. All of this on a secluded, tranquil spot at end of dead end road within city limits! This is waterfront living at its best! 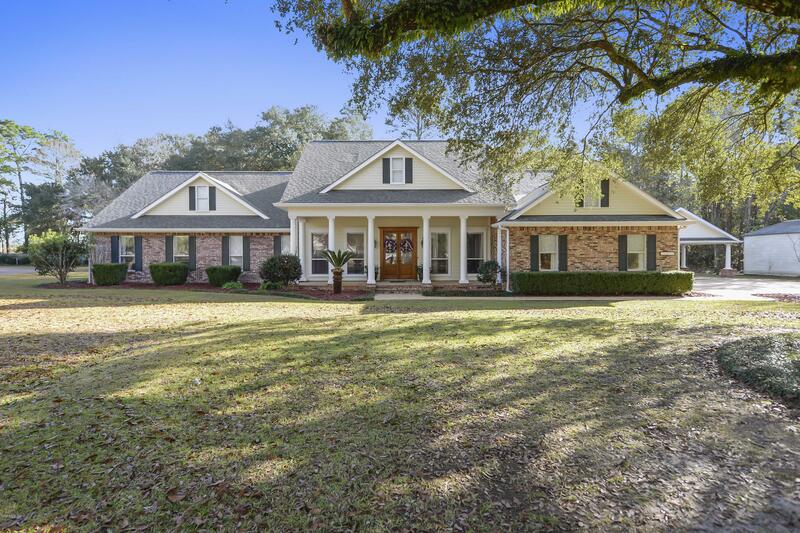 Phenomenal home with 8000+ sqft on 3 acres of land! It has every detail: bathrooms with tile designs and storage galore, built-in shelving in multiple rooms, large stone fireplace and vaulted ceilings with exposed wood beams in the great room, an outdoor kitchen+dining area with enormous entertaining space, speakers that play your music in the pool room and outside, an outdoor fireplace, 2 car garage, and a detached garage for your ATVs, RV, and golf carts! Rooms are detailed with crown molding, tray ceilings, and tasteful paint colors creating the move-in-ready vibe. The 4th bedroom and pool room could easily be a mother-in-law suite, or a studio-style apartment for your college student or guests! This beautiful home has so much to offer a new family that's ready to jump in (to the pool)! 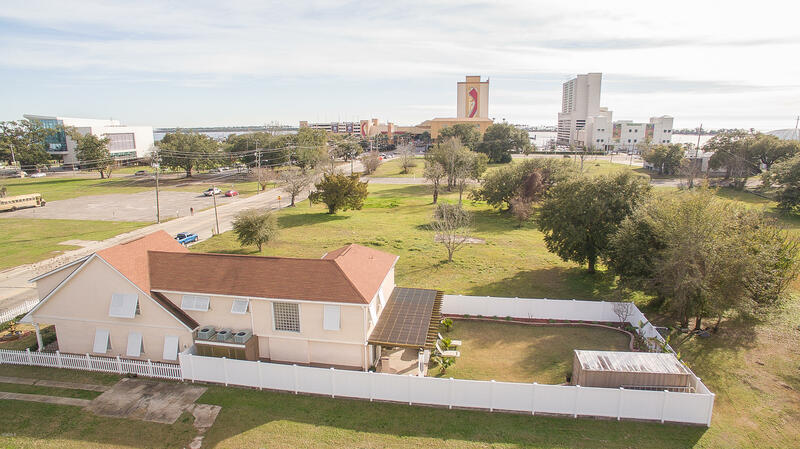 Beautiful home on east side of Biloxi near the Maritime Seafood Museum and between the Golden Nugget and Palace Casinos. The first floor has a 1 bedroom, 2 bath apartment with living rm/kitchen combo(refrigerator, microwave, sink)and a sitting rm with separate entrance which can easily be used as a second bedroom or office space(824sqft). Also 1st floor has a finished recreational area(not incl.in sq.ft.708)with a bath and grill area. All windows and doors open to enjoy magnificent breezes from Ms. Sound and Biloxi Bay. 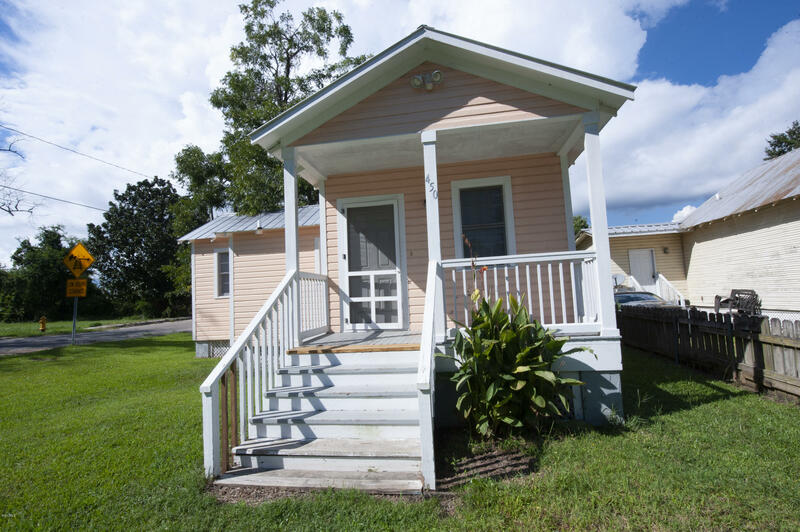 Main floor has 3 bedrooms, 2 baths with a large family rm open to dining area and kitchen.Owners are currently working with the City of Biloxi to rezone commercial as the majority of the east side of the street as well as the street to the north(Howard) is commercial. Do you dream of sinking your toes in your own private oasis? This stunning custom home has its own sandy beach on the Tchoutacabouffa River! Enjoy boat rides, canoes, jet skis and more just steps away from your backdoor! Rainy day and you can't enjoy sitting outside? This home has a full back wall of windows so you don't miss the view! Screened in room as well to enjoy! Cathedral ceilings, fireplace, break bar, formal dining, stunning granite that pictures do not do justice, wet bar and much more in this absolutely stunning home! Don't miss your chance, Call today!!! Enjoy living in this fabulous 4 bedrooms and 3 1/2 Bath home with almost 5000 sq ft of flexible living spaces. Features include soaring ceilings with extensive crown molding, large windows, tray ceilings and beautiful archways. Formal Living, and Dining Rooms, Expansive Kitchen, Breakfast and Great Room that leads to a fabulous covered back porch; perfect for entertaining. In-ground salt-water pool and hot-tub. Pool House with full bath. Master Suite offers a sitting/office area that leads to amazing Spa like Master Bath . Two additional bedrooms upstairs with common area (great for relaxing) plus full bath. Lot next door included for a total of 3.1 acres. Awesome location; with easy access to I-10, shopping and entertainment. 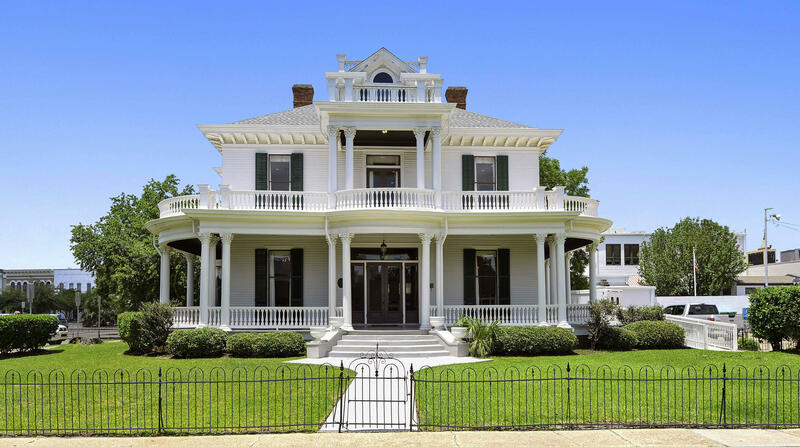 The history of this Southern home will blow you away! To say this home is loaded with charm would be an understatement. 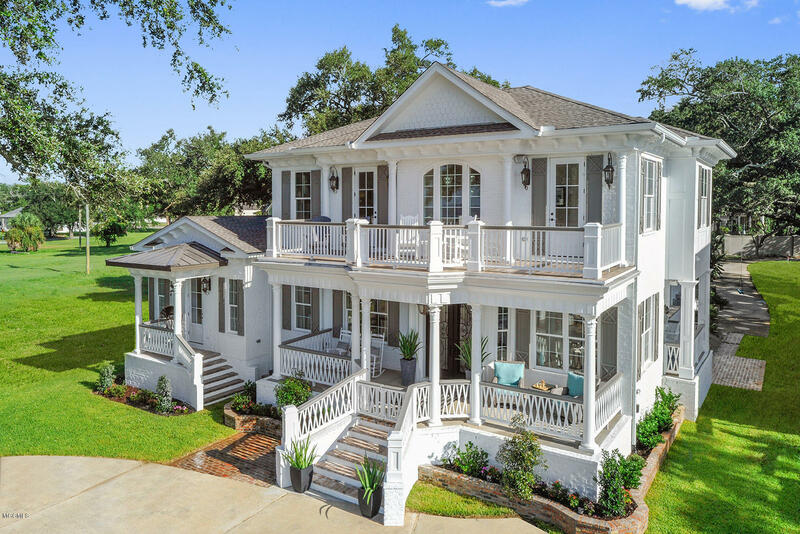 It was built back in the 1800's on the Biloxi River and was the home of the Stiglets who bought it after the Civil War for logging and shipping trade. An unusual feature of the home is an in-door well from which water was drawn and is still there today. This home features a beautifully updated kitchen with stainless steel appliances and granite counter tops; 4 charming fireplaces, original lumber from the 1800s, gazebo, in-ground pool, hot tub, cabana, and outhouse. 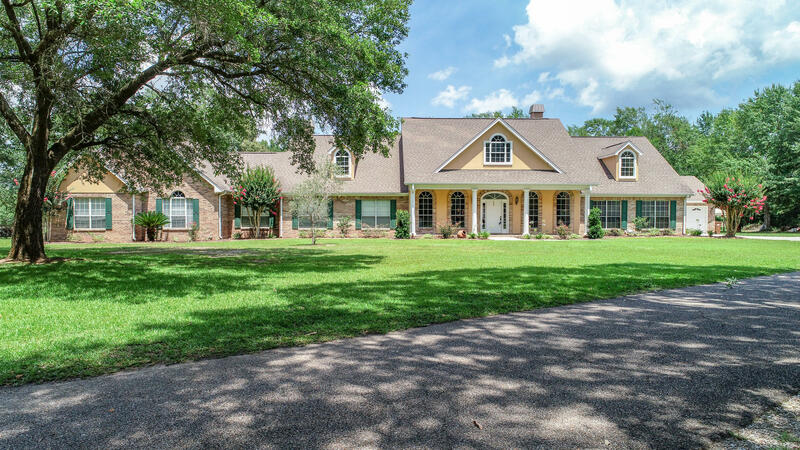 It all sits on 2.1 acres and gated! There is a 5 car garage with extra living space that includes a loft, bedroom and full bathroom. Come see the majestic oaks that surround this amazing property!